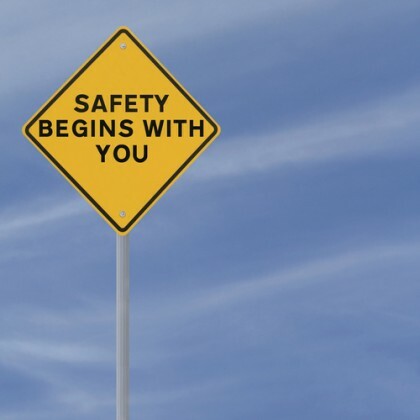 National Child Passenger Safety Week is upon us. Running from Sept. 13th through Sept. 19th, this week will focus on educating parents about how to keep their young passengers safe during their roadway travels. Supporting this effort, we will point out some important facts to know about child passengers and car seats below. If, however, you are currently focused on financially recovering after a motor vehicle accident, don’t hesitate to contact a Portland car accident lawyer at the Savage Law Firm. Here are some important facts parents should know for National Child Passenger Safety Week and beyond, our Portland car accident lawyer explains. Children under 40 lbs. are required by Oregon law to ride in a car seat – In fact, Oregon law requires that children who weigh less than 20 lbs. sit in rear-facing car seats and that children between 20 and 40 lbs. be restrained in forward-facing car seats. Generally, this means that children who are 13 and younger should be in child car seats until their weight exceeds 40 lbs. and seatbelts fit them appropriately. Registering child car seats is important to keeping child passengers safe – While keeping kids in car seats until the age of 13 or so is crucial, so too is registering children’s car seats. This is because, as transportation safety regulators point out, registering kids’ car seats allows manufacturers to directly communicate with parents and inform them about possible problems or recalls. This, in turn, can help parents get the appropriate fixes made to problematic seats ASAP and, in doing so, keep their kids as safe as possible. Only about 40% of parents ever register their children’s car seats – As the NHTSA has revealed, about 4 out of every 5 parents agree that registering their children’s car seats is important; however, only about 40 percent of them ever take the steps to actually register these seats. This is a disturbing trend for regulators, as registering car seats is relatively easy – and child car seats are often the subjects of recalls. The biggest NHTSA recall in U.S. history involved child car seats – In fact, last year, Graco recalled more than 6 million defective child car seats due to latch problems that prevented parents from getting kids out of the seats following a crash. What’s possibly more shocking than this recall is the fact that less than 50 percent of these recalled car seats have been fixed to date (with one reason being that parents simply have not responded to the recall). Parents can register car seats and check for recalls via the NHTSA – This may be one of the most important takeaways from National Child Passenger Safety Week because it can help parents take the necessary steps moving forward to keep their kids as safe as possible when traveling in vehicles. In fact, here’s the NHTSA registration tool, and here’s the recall lookup tool. We encourage you to share these facts with other parents as part of National Child Passenger Safety Week. And post your comments about this week – or any of these facts – on our Facebook & Google+ pages. For effective help with your financial recovery following a traffic accident, contact a Portland car accident lawyer at the Savage Law Firm. Learn more about our legal services and what we can do for you by calling us at 503-222-0200 (in Portland) or at 206-957-7272 (in Seattle). You can also email us using the form on this page. We represent clients in communities in both Oregon and Washington from our offices in Portland and Seattle.